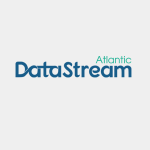 Atlantic DataStream Beta testing has finally begun! In collaboration with The Gordon Foundation and Mackenzie DataStream, the Atlantic Water Network is excited to announce the release of our new data sharing platform for water quality data. Whether it be from your computer desktop or mobile phone, Atlantic DataStream is ready for you to share and contribute data related to the health of Atlantic Canadian watersheds. Atlantic DataStream is a simple, safe, and secure way to share your water quality data with your local community and decision makers. Get in touch with Atlantic Water Network to find out more on how to become part of the movement.